The chocolate week walk was held in London during the Chocolate week back in October 2009. 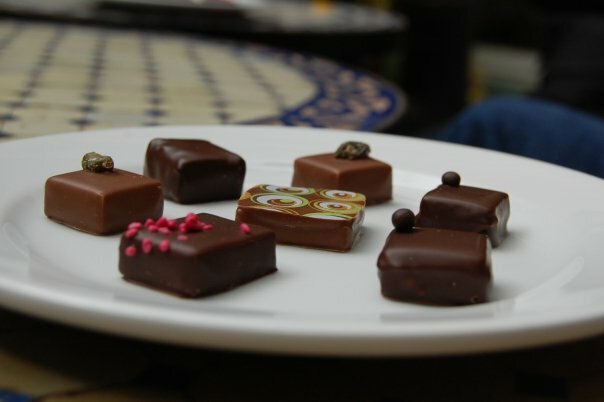 We visited the best chocolatiers shops in Chelsea and Kensington areas. The walk itself was enjoyable as it took us through the green streets of the Royal Borough of Kensington and Chelsea. The maps displays the route of the walk. The walk lasts in total about 5 hours including visiting the shops and a lunch in Whole Food Market that stocks a good selection of chocolate in the basement.